Dr. Jordan Rubin is a Doctor of Naturopathic Medicine, PhD, Certified Nutritional Consultant and member of the National Academy of Sports Medicine. After winning his battle with Crohn's colitis, a disease initially diagnosed as incurable, Jordan has devoted his life to developing solutions to help those who suffer as he did by developing and educating on ways to naturally and nutritionally overcome health challenges. Jordan is also a best selling author, including "Patient Heal Thyself," "Restoring Digestive Health" and his new book, "The Maker's Diet." Dr. Rubin now appears each Tuesday with Host, Frank Jordan, on the “Healthy, Wealthy and Wise” Television Show discussing different aspects of Biblical Health. Dr. Rubin has made frequent guest appearances on network television and radio health programs, in addition to his weekly HWW appearance. 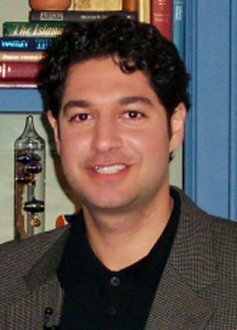 Dr. Jordan Rubin is the author of the Best Seller, "Patient Heal Thyself," with more than 500,000 copies in circulation. 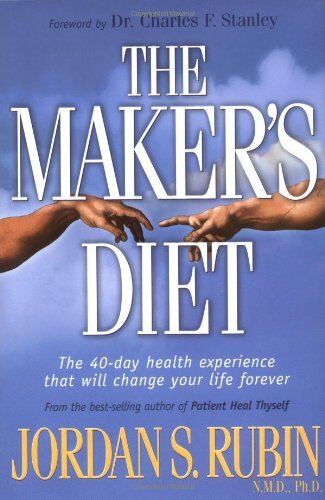 Purchase your copy of "The Maker's Diet" by clicking on the book above to purchase now from Amazon.com at a 30% discount. Doctor Rubin is additionally founder of the nationally reputed Garden of Life products available in health food stores nationally. Having been the target at a very young age of a severe illness, Dr. Rubin is sensitive to the concerns of those facing health challenges and believes each of us can do more as individuals to first prevent disease in our lives and then, if assaulted, to overcome the attacks through integrative health science and naturally derived products in many instances. Join the legion of HWW viewers interested in discussing health challenges and Biblical guides to good health with this outstanding naturopathic doctor and nutritional consultant and Frank Jordan. You can begin now to change your lifestyle to enhance the quality and quantity of your daily life and Dr. Jordan Rubin can assist you and those who watch the HWW Television Show in accomplishing that objective from a Biblical perspective. Check the HWW Television Schedule for coming appearance dates and topics for Dr. Jordan Rubin on the HWW Television Show. Healthy, Wealthy and Wise Television Show with Frank Jordan discussing Biblical Health. Join Frank Jordan each Weekday on the FamilyNet Television Network, in addition to Dr. Jordan Rubin each Tuesday - Let Us Put the "Care" back in "Health-care" for You!